Last year the Shipwrecked Mariners’ Society celebrated its 175th anniversary. 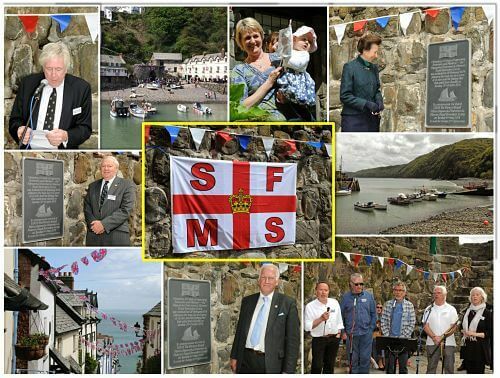 To mark the occasion, in May we held an event in Clovelly, which was attended by our Patron, Her Royal Highness The Princess Royal, who unveiled a commemorative plaque recognising the Society’s work on behalf of the seafaring community since 1839. We were also joined by the descedants of those mariners lost in the 1838 disaster which lead to the formation of the Charity as well as supporters and volunteers who play such a vital role in the work of the Society. Cornish singers ‘Stamp and Go’ – famed for their sea songs – composed a special anniversary song written to mark the occasion. The song entitled ‘In Bideford Bay’ refers to the terrible disaster in Clovelly in October 1838 – the dangers faced at sea and the devastating impact on those left behind as well as the wonderful work of the Society. To read the full release from the event visit our media centre. View all the pictures from the event in our gallery.